Intimacy and sexuality are important components of a healthy and contented life. 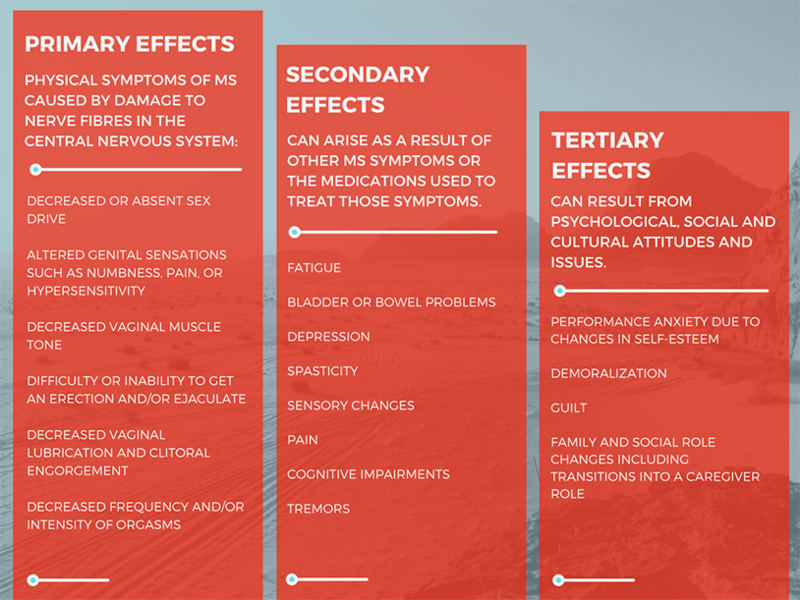 Multiple sclerosis can affect sexual functions both directly and indirectly. In either case, can impact quality of life. The good news is that primary and secondary effects are, for the most part, treatable with medication or other therapies. 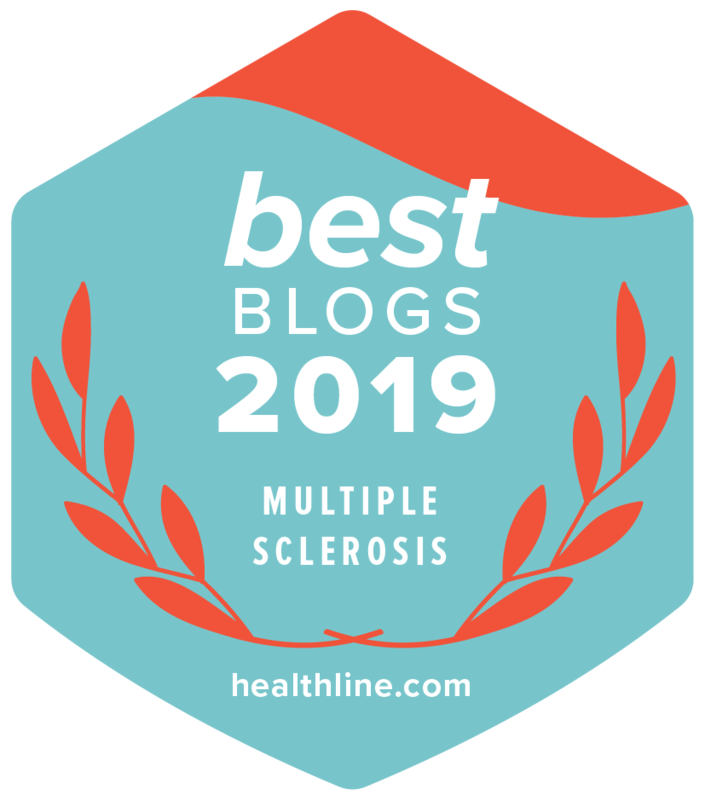 Since no two people experience symptoms in exactly the same way, we encourage you to speak with your MS nurse or other healthcare professional about which course of treatment is right for you. Tertiary effects are less physiological and are often managed with counselling. 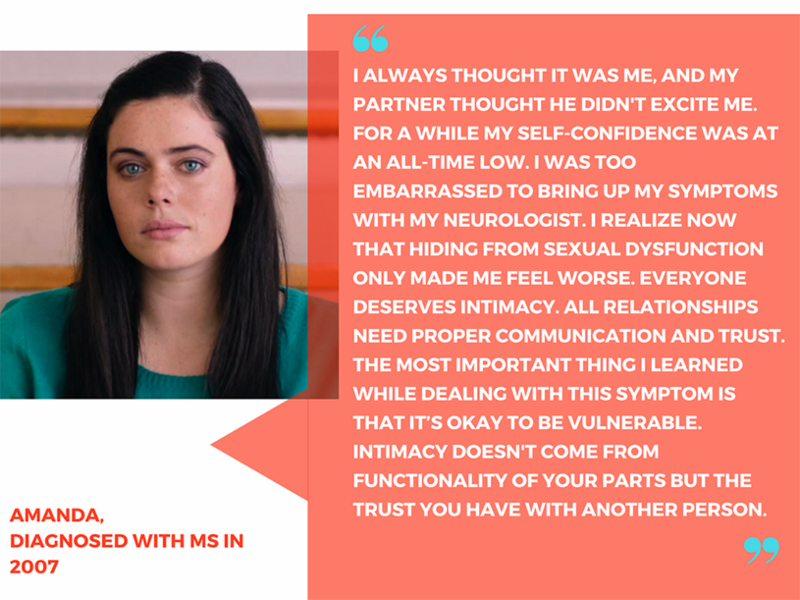 For some people, sexuality and sexual dysfunction are more intimidating to discuss than other MS symptoms which can be less sensitive in nature, but in order to overcome, they require a similar degree of acceptance and adaptation. Redefining intimacy and sexuality within your life, and finding new ways of experiencing them can incrediblyrewarding. If you’re with a long-term partner, one of the most important steps in dealing with sexual dysfunction is having an open and honest conversation about it. Involving your partner in the process of seeking treatment can help equip you with the information you both need to properly communicate. In some cases, individual or couples counselling can be beneficial.